Drop your bags on the porch of this East Nashville HOME and relax on the porch swing or one of the two rocking chairs. 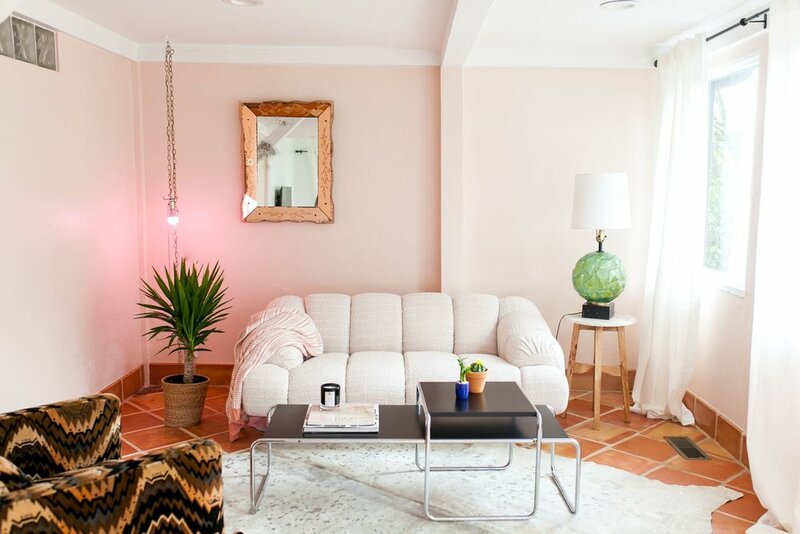 Inside, the décor is a perfect mix of mid-century modern and contemporary with rustic touches. The dark hardwood floors compliment the white walls and unique artwork and lighting fixtures impress in every room. In the parlor, you can mingle with mint juleps in front of the fireplace on the sofa or one of two chairs. 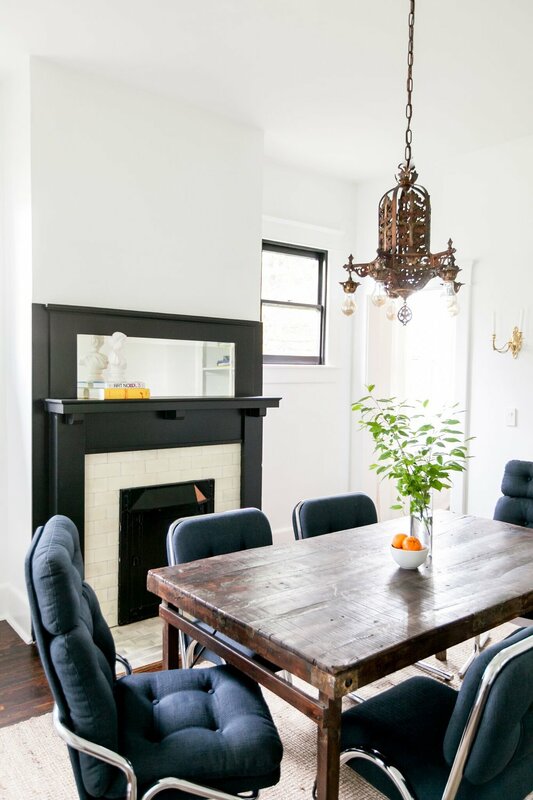 The dining room features a table for up to eight and a decorative fireplace. Plan an elegant meal or pick up Nashville’s famous hot chicken and sample some local whiskeys. In the kitchen you’ll find high-end touches, a gas stove, and an island bar with seating for two. 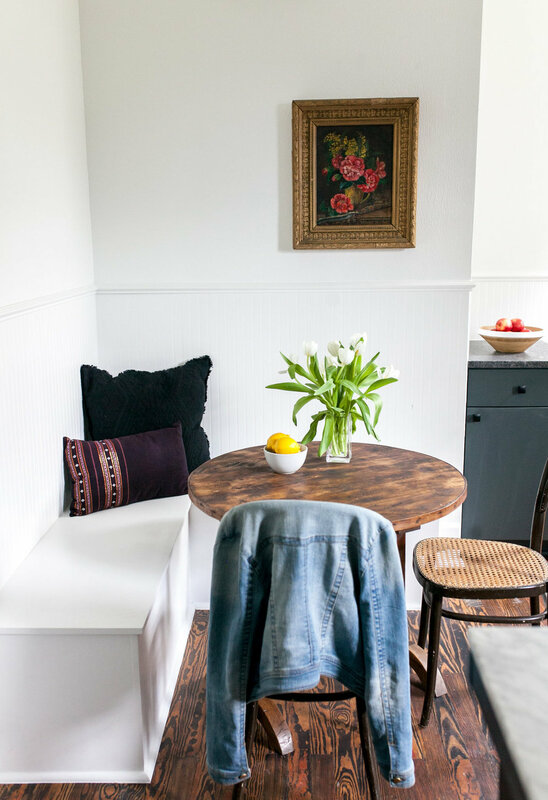 Sip your morning cup coffee at custom seating area with built-in benches and a restored 1830s French oak table for four. You can unwind on the plush sofa or chair in a second living area, or gather as a group on the sectional sleeper sofa (converts to a queen bed) and watch your favorite shows on the 50” flat screen TV. The first-floor guest room features a king bed and a decorative brick fireplace. 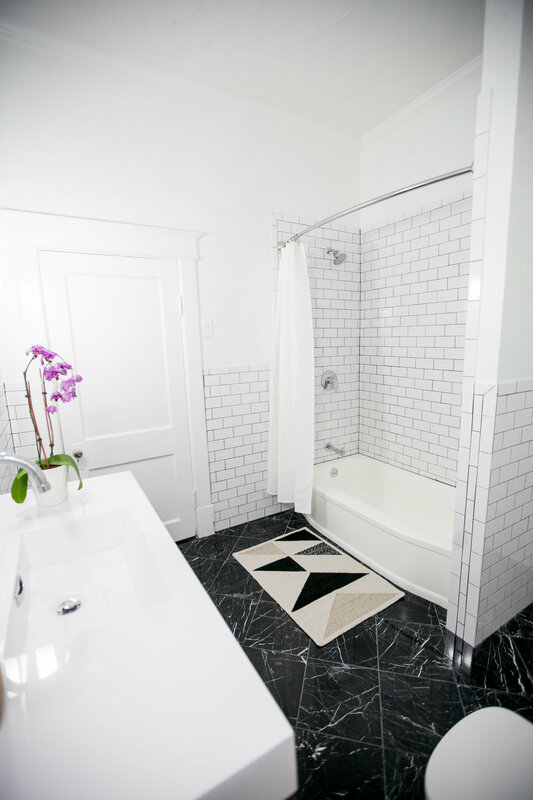 Guests will use the nearby full bathroom with subway-tiled walls and a tub/shower combination.Upstairs you’ll find a guest room with two twin beds, and another with a queen and twin beds. A bathroom connects to both the hall and the master, and has subway-tiled walls, a decorative glass window, and a tub/shower combination. The master retreat features a king bed, cathedral ceilings, and a separate sink area. After a day of exploring, head out to your private balcony for a night cap. The spacious, fenced backyard has a picnic table and two Adirondack chairs. Throw your favorite ribs on the grill and enjoy a BBQ with friends. Amenities include a washer and dryer.Quirky touches abound in this swank yet comfortable home. This is the perfect spot for groups of friends or a family who want to explore Nashville. This home is located in East Nashville, just a few minutes from Shelby Bottoms Nature Center and Greenway. There are plenty of restaurants within walking distance, including Two Ten Jack—which features Japanese small plates, ramen, and sushi—and Ugly Mug Coffee, an artsy, industrial setting with light meals and live music. The Five Points restaurant scene is only a 10-minute walk, and Nissan Stadium is 2.5 miles away. This home is less than 4 miles from downtown Nashville. Spend the day exploring the Nashville Music City Center, Music City Walk of Fame Park, Country Music Hall of Fame and Museum, and the Johnny Cash Museum. When hunger strikes, it’s just a short walk from the sites to the Nashville Farmers’ Market, where you can sample southern fare and global cuisine at one of the 14 locally-owned restaurants. After lunch, take a stroll along the Bicentennial Capitol City Mall or one of the many riverfront parks. Or visit the world-famous Grand Ole Opry (20-minute drive). We've taken the work out of your stay. Read the hotelette guide to nashville here. But don't worry, you'll also find a copy of the guide in hotelette nashville! 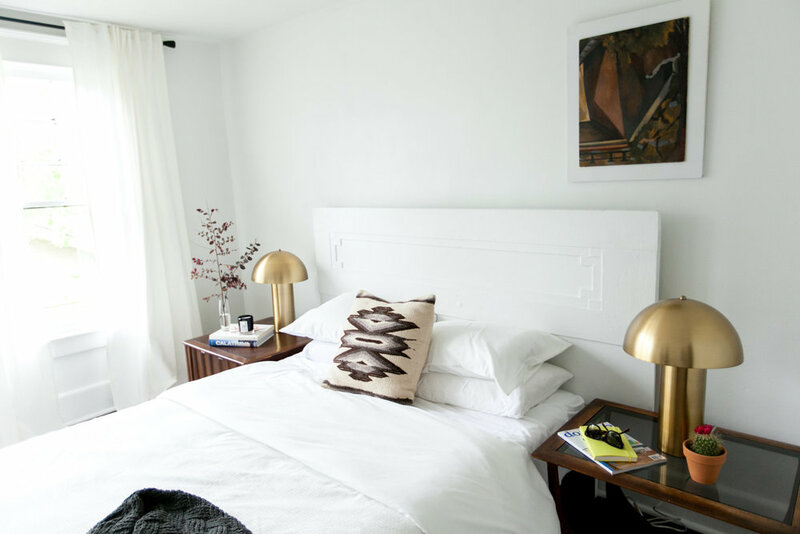 hotelette nashville has been featured in domino magazine as the rental bridging the gap between hotels and airbnbs, as well as rue magazine.